FotoJet.com unveils many new Thanksgiving templates, giving users very easy and quick way to design unique Thanksgiving card with personal touch. It’s November and the Thanksgiving Day is approaching rapidly. The spirit of Thanksgiving is all about being grateful and thankful. There’s no better way to say thank you than with a custom made Thanksgiving card. With this in mind, PearlMountain adds a brand new set of Thanksgiving templates into its free online card maker, FotoJet, delivering many fresh new ideas for users to create their own custom Thanksgiving card. A personalized card is the most popular and perfect gift that people send to express their gratitude on Thanksgiving Day; simple, but impressive, original and meaningful. FotoJet’s latest update gives users more Thanksgiving templates to choose from, in time for the special day. These templates can be customized and used instantly at no charge. FotoJet is equipped with a set of useful editing options, such as adding text as Thanksgiving wishes, inserting clipart images as decorations, setting text font, size, color and choosing photo effects, etc., all of which enable users to fully unleash their imagination and creativity. In only a matter of seconds, a marvelous photo card can be on your computer for saving or sharing. With another important holiday, Christmas in the very near future, FotoJet also provides a lot of free designs for Christmas to help celebrate the holiday season. Besides, it has created over 500 delicate templates for collage, posters, social media that deserve a try. PearlMountain Technology Co., Ltd is a dedicated graphics and software development company founded in 2006. 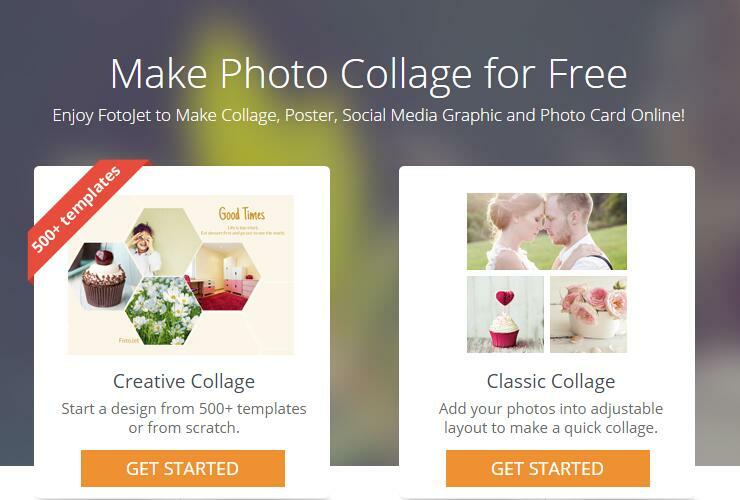 Over the past 9 years, it has released products with great popularity among worldwide users like Picture Collage Maker, CollageIt and Publisher Plus. Its products have already been well received throughout the North American, European and Asian software markets for their ease of use, reliability and superior performance.